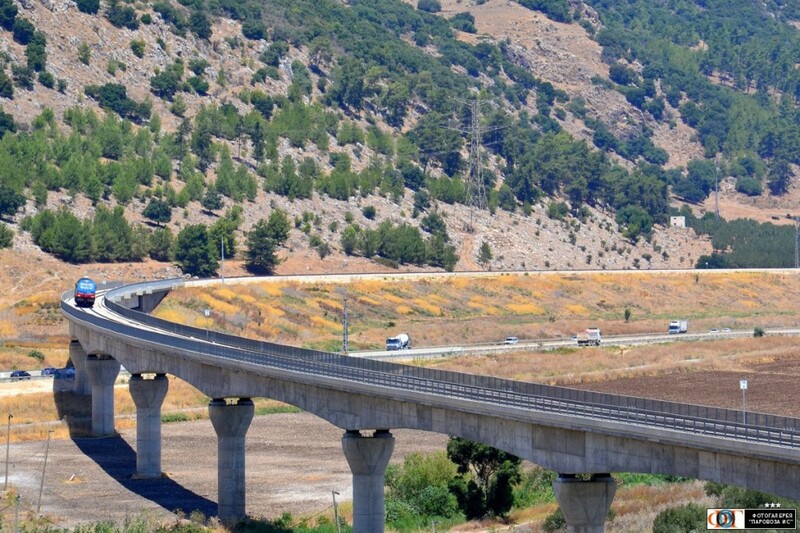 In November this year, a new railway from Bet Shean to Haifa will open to service. I decided to write about the upcoming railway projects for the future. You can ask me any question in the comments and I’ll see if I can answer. Yisrael Katz has a basic Zionist ideology where you need to decentralize places like Gush Dan and make peripheral places more accessible. The problem with the current railway between Jerusalem and Tel Aviv is that it’s on a more or less late 19th century single route. 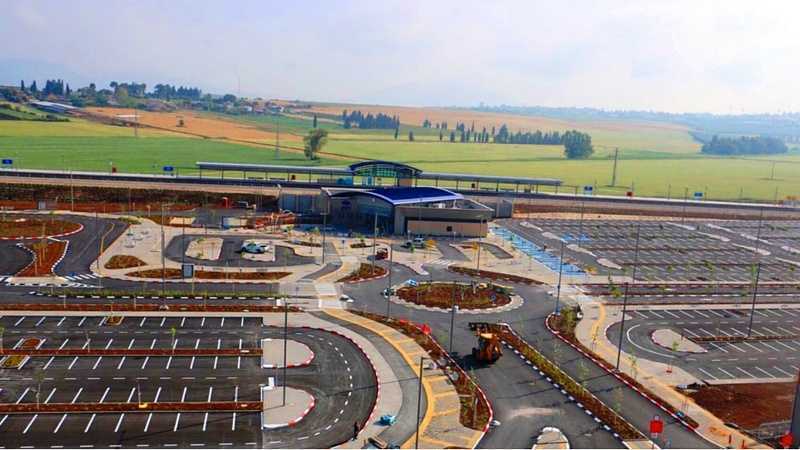 The railway was upgraded between 1998 and 2005 to what it is now as a quick deployment plan and it serves as an alternative to the congested roads between Gush Dan and Jerusalem. The travel time between Jerusalem Malcha station and Tel Aviv is about 1 hour and 15 minutes. 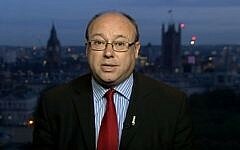 It’s useful for emergencies such as when Jerusalem is locked down because of snow. However, it’s not a good alternative for roads that take less time, but are becoming more congested. 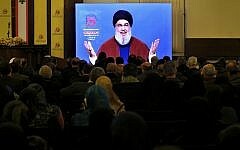 The solution was a new railway from Jerusalem to Tel Aviv. There were proposals for a railway parallel to route 443, but were dismissed due to the line being too far beyond the green line. Plan S was the upgrade to the old route that was done. 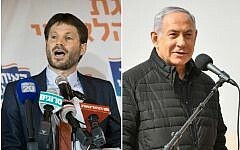 The route that was chosen was A1, which involved many sloped tunnels and bridges in order to reach Jerusalem’s high altitude through all the mountains. 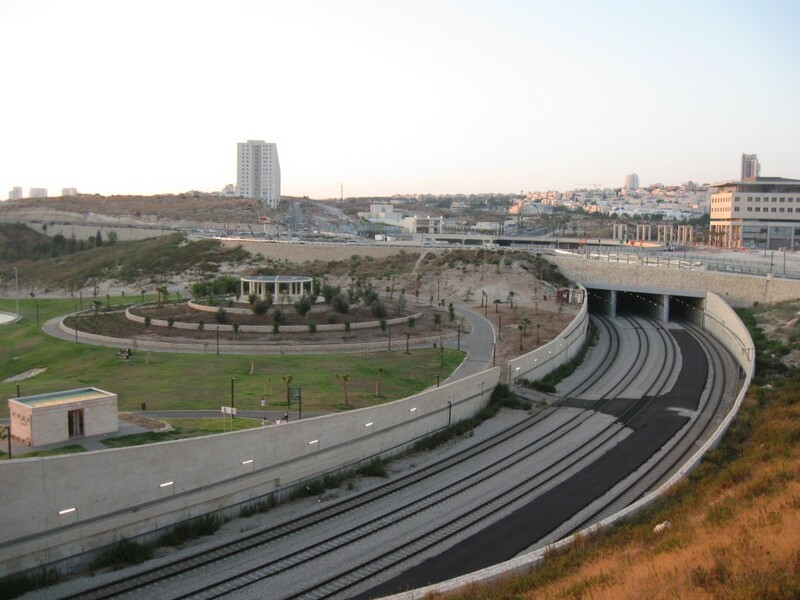 The railway from Tel Aviv to Modiin was built between 2001 and 2008 as part of the railway to Jerusalem. 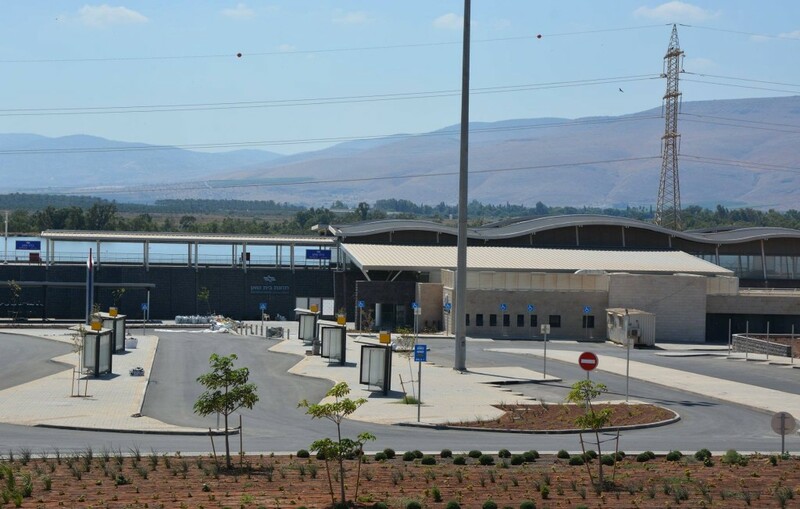 The railway to Jerusalem splits off at Anave interchange, the entrance road to Modiin. The railway to the right is Jerusalem bound. The railway to the Left is Modiin bound. 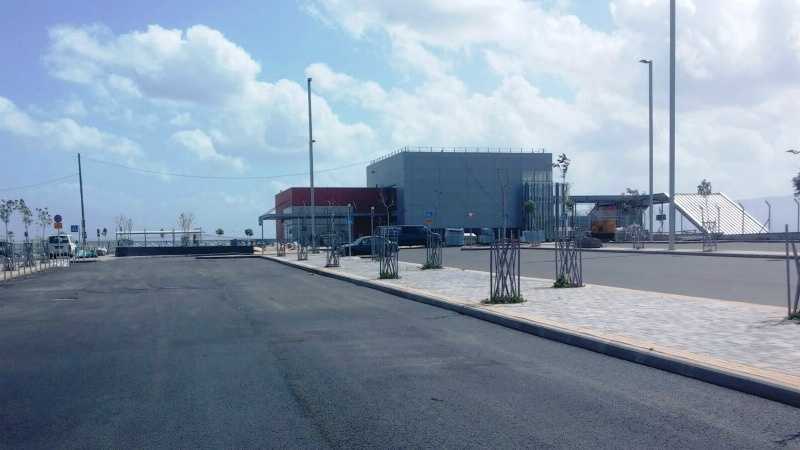 In 2008, when Modiin’s terminus station, Modiin Merkaz opened, the project was supposedly frozen and only resurrected in 2011 after Yisrael Katz became transportation minister. Beforehand, the infrastructure was only extended up to Mevo Horon, where the “famous” Ayalon valley train bridge is located. (Bridge 6, the longest bridge in the country). This bridge stood there doing nothing for about 5 years. From here onwards, there have been many bridges and tunnels. One noticeable bridge is the tallest bridge in the country leading to the entrance to Jerusalem’s terminus, Binyanei Hauma station which is located 80 metres under street level, one of the fifth deepest mainline train stations in the world. Another bridge was built with a single pillar in order to preserve a natural reserve. External building of Binyanei Hauma station. Only 5% of the station is visible. Photo by Shabatashtiyot. Platforms. 80 metres underground. It would take 6 minutes to exit the station. Photo by Shabatashtiyot. Tallest bridge in Israel. Photo by Shabatashtiyot. The railway will start service in Q1 2018. In late 2019, Services to Modiin via the arch at the junction which is being constructed will start as well. 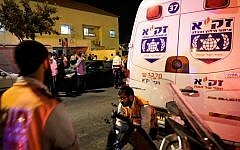 Some trains on the way to Tel Aviv will stop at Ben Gurion airport as well. This railway will be built between the carriageways of route 431. There will also be a branch that connects this railway to Jerusalem. This railway would serve as a bypass, so people don’t have to enter Gush Dan in order to travel south. 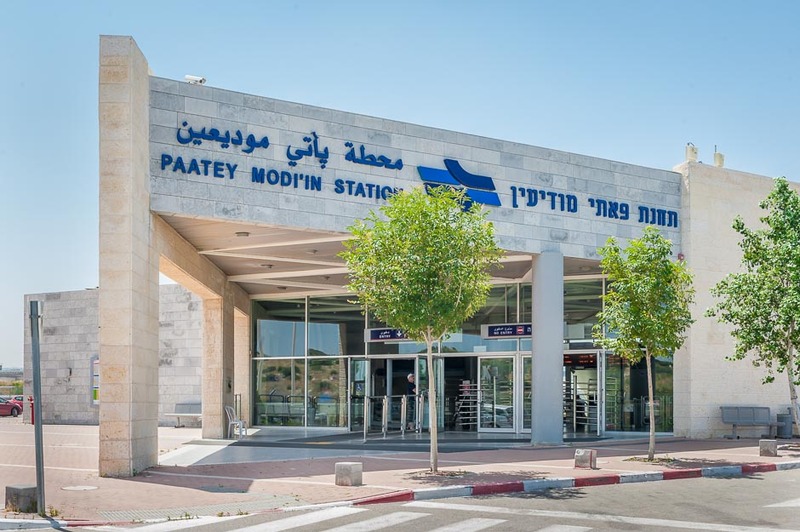 The stations on the line are the existing Paatei Modiin, Modiin Merkaz and Rishonim stations, with a new Ramla – South station allowing people to transfer to trains between Beer Sheva and Lod. Eventually, the line will be extended from Rishonim to Moshe Dayan station with two new stations in Rishon Letzion. The tunnel at Moshe Dayan station which would eventually link to Rishonim station and continue to Modiin. Entrance to Modiin Merkaz. The first underground train station in Israel and the largest train station after Hauma opened in 2008. Photo from 2010. 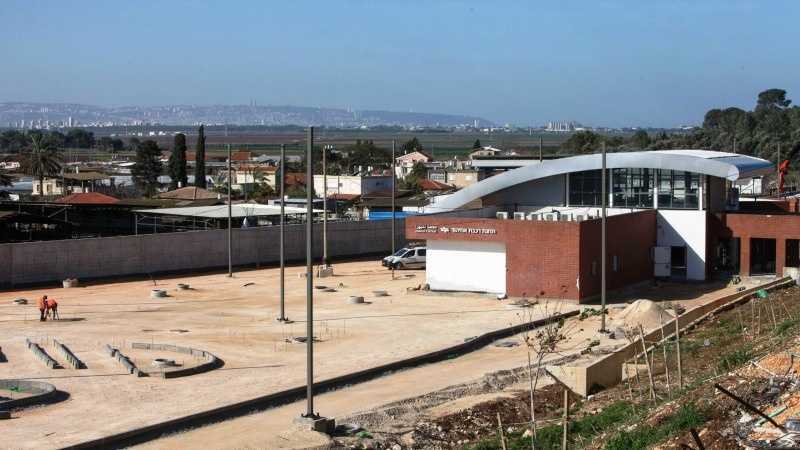 This railway’s construction started in 2011, when Yisrael Katz unfroze the funding for it. It will open in April 2017. 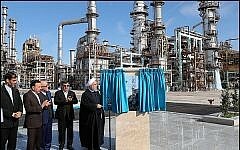 It’s falsely branded as the “Akko – Carmiel line”. It branches south of Akko. On the route, there are tunnels known as “Gilon Tunnels”. Due to certain problems with electrification tender winners, the railway will start service with diesel locomotives. 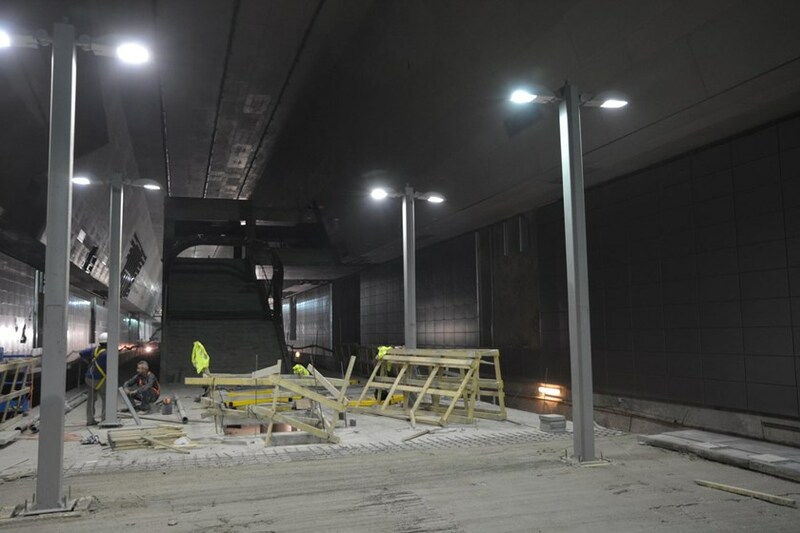 In order to allow the train through the tunnel, pumps will be installed in order to get rid of the fumes. The stations on the route are Carmiel and Achihud. Just a few days ago, Yisrael Katz approved the construction of an extension from Carmiel to Kiryat Shmona. The railway will have stations at Mt. Meron, Rosh Pina – Hazor and at Kiryat Shmona. The train will travel through an 800 metre deep tunnel under Tzfat. 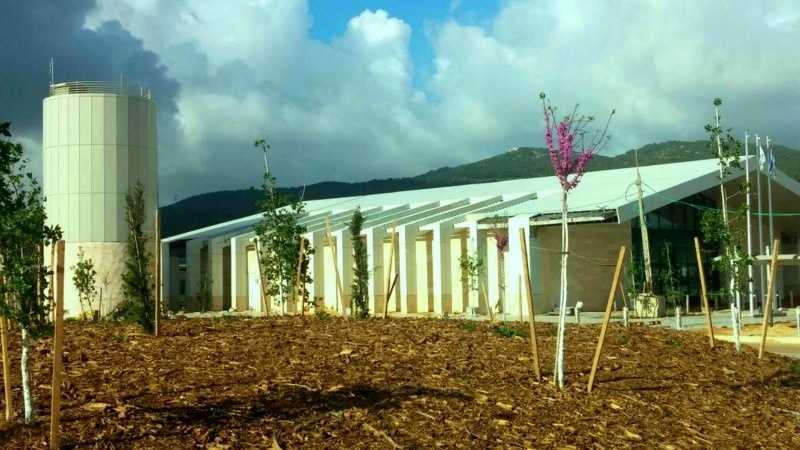 In November this year, a new line from Haifa to Bet Shean will open. The railway was built temporarily with only one track due to lack of funding. 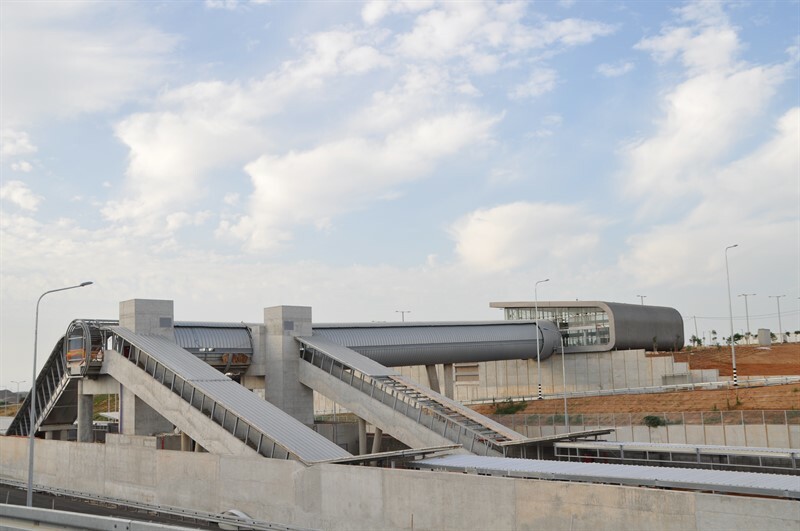 The stations on the line are a new station at Lev Hamifratz interchange in Haifa, Yokneam – Kfar Yehoshua, Migdal Haemek – Kfar Baruch, Afula and Beit Shean. Eventually, two other stations in Tel Yosef and Nesher will open. The line is built in parallel to the old Hejaz railway branch from Dara to Haifa. This line might eventually be extended to Irbid in Jordan. Bet Shean. The roof curves are similar to the one’s in Paatei Modiin. Photo By Shabatashtiyot. 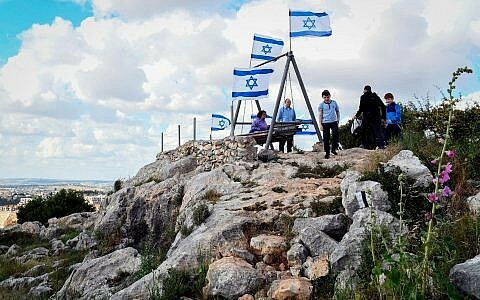 Yokneam – Kfar Yehoshua. The station resembles the old valley line station built in the Ottoman era. In 2018, a new railway between Hod Hasharon an Herzelia will open between the carriageways of route 531. 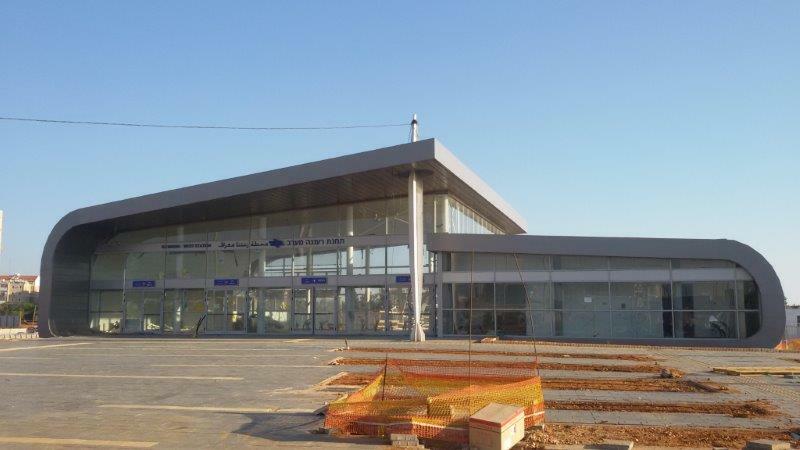 On the line, there are 2 new stations under construction for Raanana. 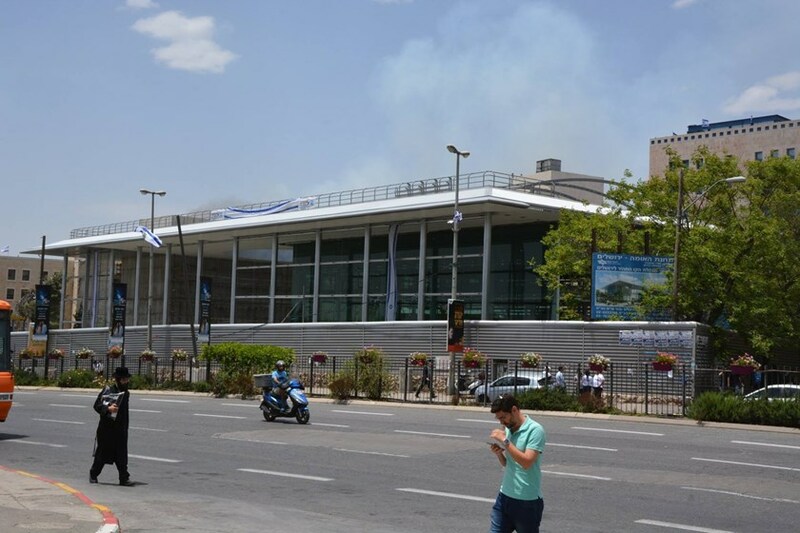 One in west Raanana interchange and one underground station in South Raanana interchange. Herzelia station opened in 2005.
include a high speed railway from Beer Sheva to Eilat with stations along towns in the Arava. A railway from Beer Sheva to Arad with stops at Nevatim airbase and Kseife, a railway to Yerucham. 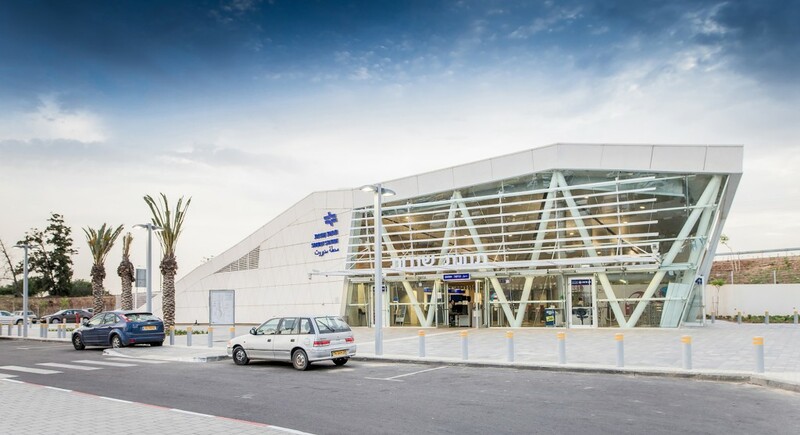 An upgrade of an existing inland north – south railway for passengers with stops at Lod – North, Israel aerospace industries, Elad, the closed down Rosh Haayin south station, the existing Rosh Haayin – North station, Kfar Saba – North, Tira – Kochav Yair, Taybe – Qalanswe and the old Hadera east station. A railway from Afula to Hadera east via a tunnel under Um El Fahm. Ashkelon – Beer Sheva with stations at Sderot, Netivot and Ofakim. Sderot. 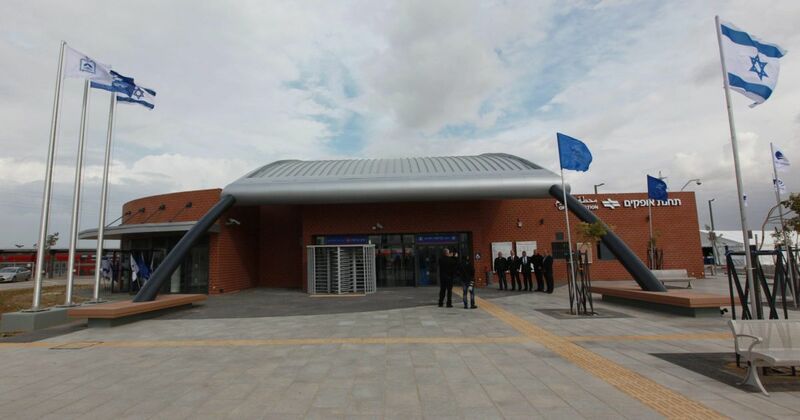 The first rocket proof train station in the world opened in 2013. Tel Aviv – Rishon Letzion – Ashdod line with stations at Holon Junction, Holon Wolfson interchnage, Bat Yam Yoseftal and Bat Yam Kommemiut, Rishon Letzion (Moshe Dayan) which opened in 2011 and Yavne which opened in 2012. Yishai was born in Jerusalem and lived in Sydney until he returned to Israel in 2006 and now lives in Modiin. 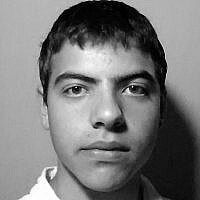 Most of the articles written here are about Judaism from a practical view and about general things from politic to life as an Autistic boy.